The European Commission is beginning the process of improving the EU’s Value Added Tax system, by starting a public consultation campaign to determine the tax’s inherent shortcomings. On December 1st the European Commission (EC) launched an international consultation process to evaluate the modern effectiveness and future direction of the European Union’s (EU) Value Added Tax (VAT) system. The initial stages of the consultation are in the form of a public Green Paper, which encourages responses from EU-member states, companies, and individual citizens on issues raised within the release. According to a press release accompanying the consultation’s launch, the EU VAT system is in need a urgent overhaul to actively reflect the requirements of a modern marketplace and assist governments in raising the funds necessary to fuel economic recoveries and growth. According to the EC, the current VAT system was devised over 40 years ago, and no longer reflects the “needs of a service-driven, technology-based, modern economy”. As incremental attempts were made to modernize the VAT system throughout its lifetime, it is now filled with countless intricacies, which have led to “unnecessary costs and burdens for taxpayers and administrations, and obstacles to the Internal Market.” Further, a re-hauled tax collection scheme will allow for tax authorities to clamp down on existing VAT fraud and evasion. Currently, VAT collections account for almost 20 percent of EU-member state tax revenues. However, due to aging populations and the effect of recessions, governments are expected to place an increasing emphasis on VAT revenues, further escalating the need for an efficient collection system. 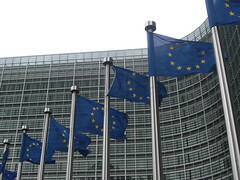 The Green Paper calls for submissions regarding several specific issues in the VAT system, including the modern relevance of reduced VAT rates on specific products, the neutrality of available deductions, administrative “red tape” in cross-border transactions, and potential improvement areas for the issue of fraud. However, the EC is welcoming any submissions on any other unmentioned but perceived shortcomings.